A simple border is the last critical decision for a quilt top. Quilting Techniques such as knowing how to measure for your border is what makes a border come alive no matter if the center is ho-hum. Your blocks are finally stitched and now all that is left to do is add a border. But first lets explore how to measure for that perfect simple border. To measure the pieced quilt top, place your tape in the middle of the longest side and then in the middle of the shortest side. Add at least two-inches to each of your measurements. This is for insurance purposes. Your simple border will be trimmed later as needed. If your border design will have multiple tiers you will need to take a new measurement after you add each tier. 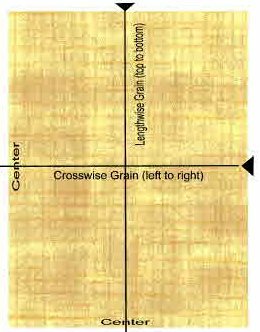 Borders cut along the lengthwise grain will lay flatter than borders cut along the crosswise grain. If you cut along the lengthwise grain, you will not have any seams and very little stretch. 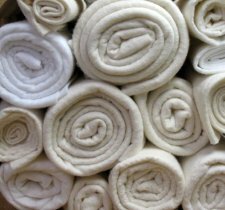 Cutting along the lengthwise grain will, however, take more fabric. Cutting along the crosswise grain will take less fabric. But when cutting crosswise you will have to piece the pieces together to get the necessary length to go around your quilt. For me it is worth buying an extra yard of fabric to minimize piecing. Whatever image your quilt body presents, try to do the opposite with the border. If your quilt colors are bland, use brighter colors in the border. If your quilt body has large-scale print, look for a smaller-scale print for the border. Determine the best width for your border. A width that is a multiple of the block size is the most visually balanced. If you use several borders, make them different widths to avoid a repetitive look. 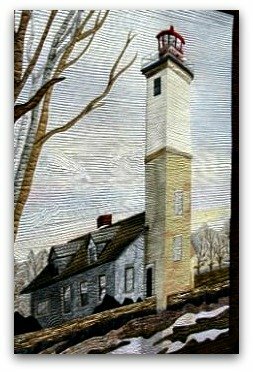 When using directionally printed fabric, it can be more pleasing to cut the top and bottom borders across the crosswise grain rather than along the lengthwise grain. 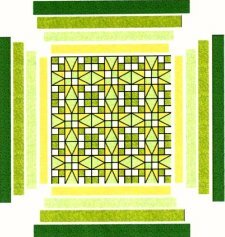 In order to maximize the full 42-inch width of your fabric cut enough strips for the top and bottom borders before you cut the side borders from the lengthwise grain. A Quilt Border with a butted joint is the easiest form of a border. 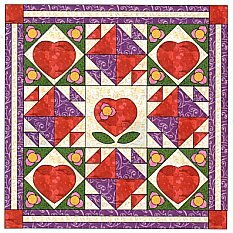 A beginner quilt pattern will usually have a butted joint border and is usually added to the top and bottom edges first and then to the side edges. With a butted border we simply mean the top and side borders are butted together. 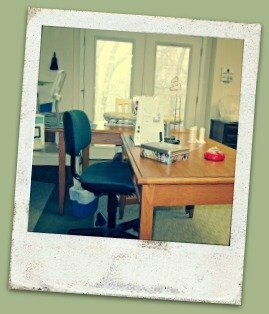 Quilting made easy for beginners leads to success right away! Mark the center of all four sides of pieced quilt top with a pin. Measure across crosswise grain of pieced quilt top to determine length of top and bottom borders. 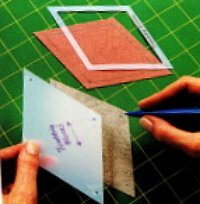 Trim top and bottom borders to the determined length (this assumes the borders have already been cut with the added 2-inches for insurance. Mark center of the top and bottom border pieces. Match center marks of top border piece to center mark of pieced quilt top. Pin top border to pieced quilt top easing in any fullness. Repeat above steps for bottom border. 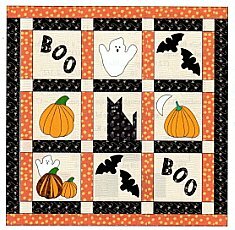 Measure across lengthwise grain of pieced quilt top, including top and bottom borders you just added. This measurement determines length of side borders. Repeat steps 3 through 7 to add side borders. If your simple border has a definite design and you need to piece a few strips together to get the distance needed to go around your quilt, use the straight seam method to join the strips. Try to match the design of any directionally printed piece of fabric as best you can. The image above is an example of matching the design. It is also important to try to match stripes, plaids, and large floral motifs. To get a good match it is better to base the seam before stitching, then press the seam open...one of the few times you will press a seam open when quilting. Use a small stitch (12 stitches to the inch) to stitch this seam. 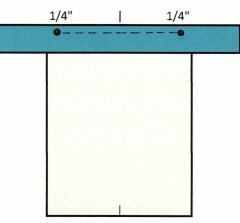 An alternative for joining strips is to use a 45 degree angle or mitered seam. This method creates a less visible seam especially when the fabric is plain. A simple border deserves to be more than just an afterthought, so take a little time to decide on that perfect border. Maybe it only needs to enhance the center design area by acting as a frame. 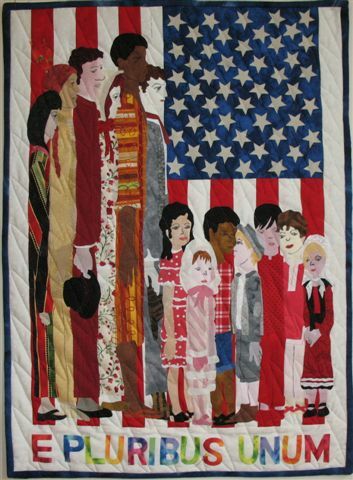 Unpieced borders are cut from fabrics that were used in the main theme of the quilt. This is where you can use multiple strips of different colors that tie in with the main theme of the quilt. Graduate the different widths from narrow to wide and back to narrow. Choose a commanding dark color for a narrow inner border strip. 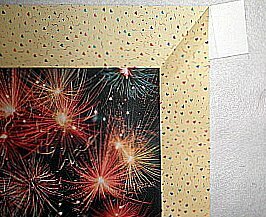 Simple borders with butted corners require the least amount of fabric and the simplest way to deal with corners. Most prints are symmetrical making it easy to match the corners and sides. Test your selection of fabric by folding it lengthwise into a border-size strip and place at the edge of the pieced quilt top. Handling of your pieced quilt top causes the edges to stretch so it is best to measure at the center. Your quilt will hang or lie straight by making the side or top and bottom edges the same measurement as the center. You accomplish this by using the center measurement as your point of reference and then easing in the stretched areas (outer perimeter) to fit the center measurement. For better accuracy use a metal tape to measure a whole quilt as it will not stretch like a cloth tape does. 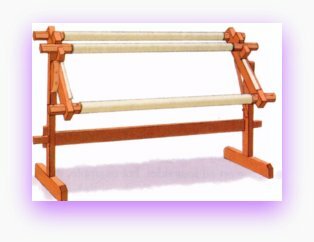 You will acquire a tolerance for some Quilting Accessories while others will be a natural fit. I have to come clean here. There are times when I prefer a flexible tape measure especially when I'm working by myself and have no one to help hold the metal tape. For me, metal tapes are a little clumsy. See, I warned you that we would discover that most of the time no one way is right or wrong...it is what works best for you that is important. Mitered corners use a little more fabric and give a formal, graceful flow to the quilting stitches that go around the corners. Mitered corners may seem more complex but after you do a couple it gets easier. These quilting instructions makes mitered corners easy! Beginning at center of border strip measure half the width of the pieced quilt top in both directions and mark with a pin. Match marks on border with corners of quilt top and pin. Pin border to pieced quilt top between center and corners, easing in any fullness. Sew border to quilt top, beginning and ending seams exactly 1/4-inch from each corner of pieced quilt top. Backstitch both ends of stitching to secure seam. Repeat this process to sew bottom, then side borders, to pieced quilt top. Temporarily move first 2 borders out of the way by folding and pinning ends as shown. Fold corner of quilt top diagonally with right sides together and matching edges. Use ruler to mark stitching line as shown. Pin borders together along drawn line and sew on drawn line backstitching at beginning and end of stitching. Turn mitered corner right side up and check to make sure corner will lie flat. Trim seam allowance to 1/4-inch and press to one side. Repeat steps 8 through 12 to miter each remaining corner. Press the mitered seam open after stitching and trimming to reduce the bulk and to maintain the accuracy of the angle. The trick is to place the needle precisely next to the last stitch of the adjacent border seam. That way you avoid any gaps by starting the next border seam exactly where the previous seam ends. In this image we show both an inner and outer mitered border that is perfectly aligned. 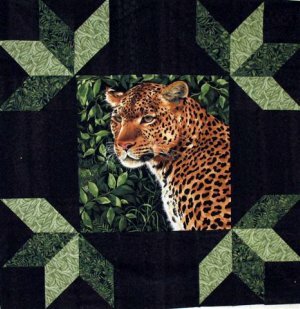 I think this gives your quilt border a bit of depth and sometimes that is all that is needed to make the center stand out. A beginner quilt pattern can be stunning with the right border! Quilting for beginners may seem like a daunting task. Start with one of our beginner quilt patterns, select a simple border design and follow this web site to learn about more quilt instructions. Soon, and very soon, it will become easy. When corners of a simple border ripple or don't lie flat generally the angle of the miter is not a true 45 degree. Check your work to make sure the stitching begins at exactly the point where the two borders meet. If the two points are separated, the mitered seam will have a gap. If the two points overlap the miter will begin with a small pleat. Run a pin through both seam intersections of the borders to make sure they align with the 1/4-inch seam on the quilt top. Stitch from the wrong side by machine or hand stitch from the right side using very small invisible stitches. 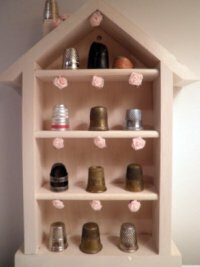 Quilting Accessories You Can't Live Without! Patchwork - nothing more than small pieces of fabric sewn together to form an image.